Naomi has fueled speculation on a possible bodyguard for her on the SmackDown brand after back-to-back losses to Billie Kay and Peyton Royce. Even though WWE hasn’t introduced a Women’s Tag Team title just yet it seems like they’re pairing a few teams up anyway. Now with the IIconics beating Naomi 2 weeks in a row, she could be in like to get a partner as well. 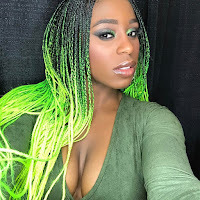 Joe Peisich said on the latest installment of Barnburner’s Fired Up podcast said that Naomi has a couple interesting options about who she might call to be her tag team partner, and one of those choices could come from developmental. The last time Naomi had a partner in that respect it was with the Funkadactyls with Cameron, let’s hope WWE does a better job finding her a partner this time.